It is with great pleasure that we are again able to announce that we are continuing our success amongst the best in the country. 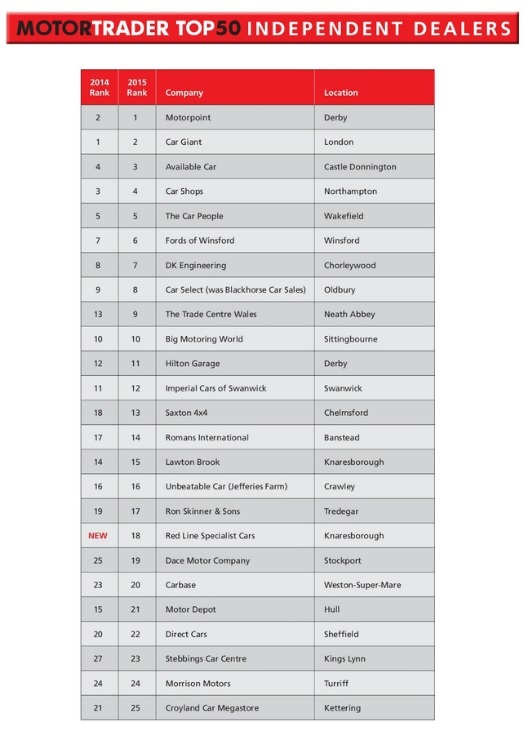 A recent poll conducted by Motor Trader Magazine saw us sitting in twelfth place just on 2014 figures alone. In 2015 we saw a rise in turnover of 43.7% percent! This is due to our continued pursuit to deliver top quality cars to 1000’s of used car buyers throughout the county. The addition of the Chertsey and Northampton used car showrooms in 2015 means that Imperial car Supermarkets now have six outlets across the country (in Southampton, Portsmouth, Fleet and Swanwick). Customers are happy to drive a considerable distance to buy from us. We put this down to the information displayed on our website with full documentation packs and high quality images being displayed to view at leisure and not having to request or call, competitively priced and extremely well prepared cars. We can’t wait for another year, our recently opened branch in Chertsey is already going well so fingers are crossed to place within the top 5 in 2016!